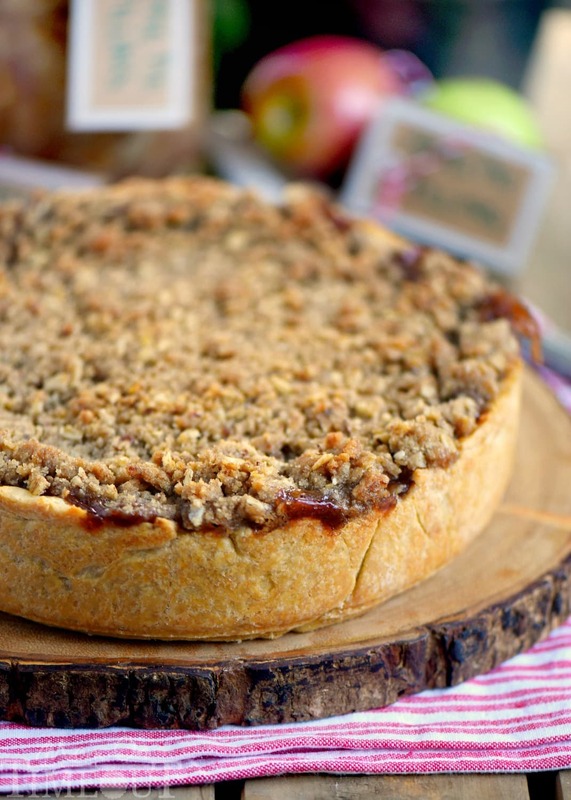 Deep Dish Dutch Apple Pie is loaded with a spiced apple filling and topped with a crunchy, sweet, pecan streusel topping. Best served with a big scoop of vanilla ice cream and caramel sauce. 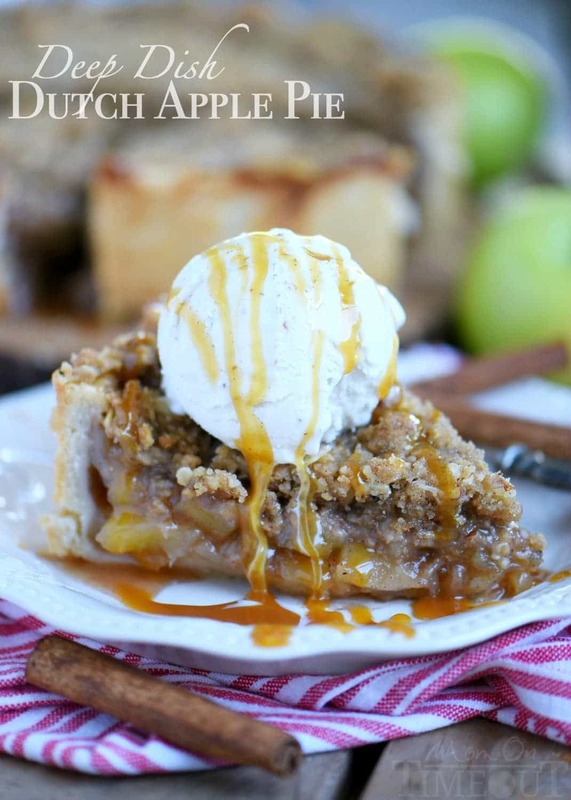 This is THE dessert for the fall season! 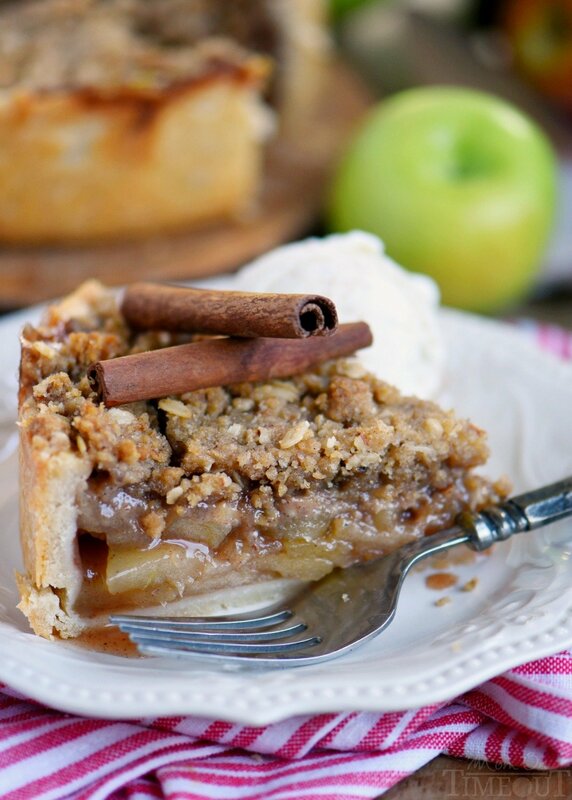 If there’s one pie I never can resist, it would have to be apple pie. There’s just something about apples and cinnamon that rocks my world. When you make it deep dish and add a streusel topping? Forgetaboutit. 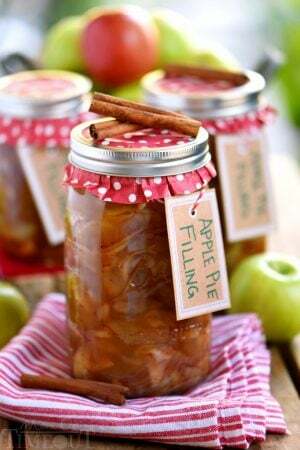 A couple of weeks ago I shared a recipe for homemade apple pie filling which, if you haven’t tried it yet, is the BOMB. I showed a picture of a pie made with the apple pie filling and failed to share the recipe for said pie. I made the pie in a springform pan because I love how easy it is to cut slices. 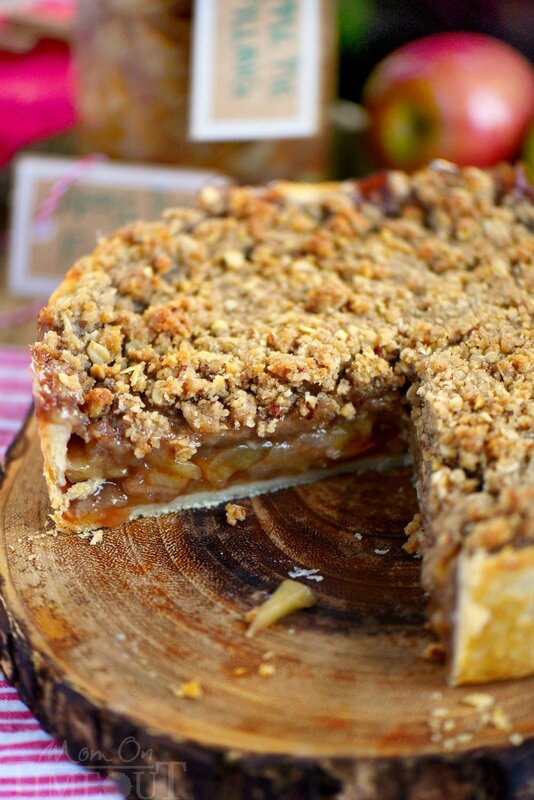 No more crumbly crust all over the place when you’re slicing pie. Another reason I love using a springform pan is that the pan itself protects the crust so it doesn’t get overly brown. I know, awesome right? Just look how gorgeous that pie is! 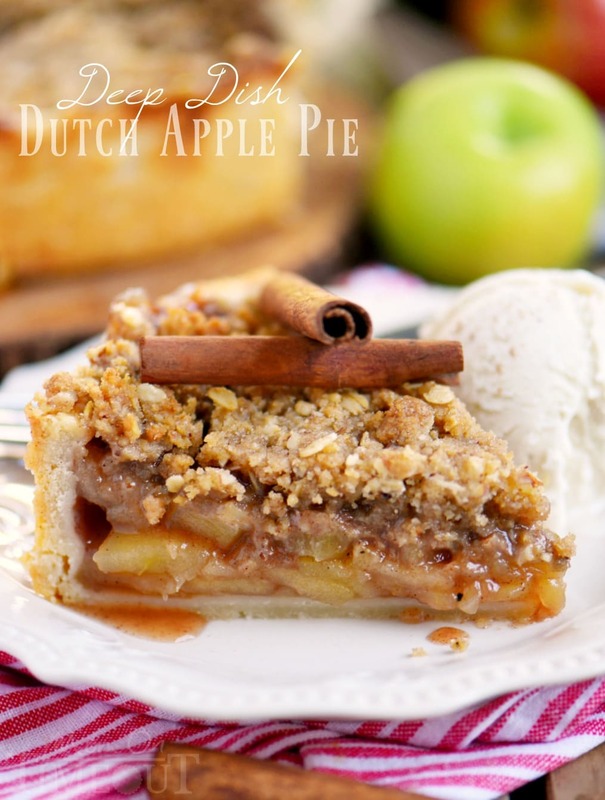 In the recipe below I share two of my favorite tricks for the best pie experience possible. One, I whisk in corn starch with the liquid from the filling to thicken the pie so it stays in place when slicing. By now you can see that I am clearly OCD when it comes to slicing pies. It works in your favor though, trust me. Two, I ask that you brush the crust with egg white before adding the filling. The egg white acts as a barrier to the filling and keeps the crust from getting soggy. Why do I do this you ask? See above. It’s all about nice, clean slices for me. It’s totally up to you how you serve this pie but my husband would argue that it’s a crime to not serve ice cream with apple pie. And caramel sauce. He wins. Combine flour, sugar and salt in the bowl of a food processor. Pulse a few times to mix. Add the VERY cold butter and pulse until it resembles coarse crumbs. Add 2 tablespoons of ICE water and pulse a few times to work the water in. Add another tablespoon of water and pulse until the dough comes together as a ball.. I always add a third tablespoon of water and pulse until the dough forms a ball. If the dough appears dry, add an additional tablespoon of water and pulse to combine. Roll the dough out into a circle about ⅛-inch thick and 12 inches in diameter. Fold the dough into quarters and place into a springform pan. Gently unfold the crust and press into the pan and up the sides about 2 inches.Crimp the edges with a fork if desired. 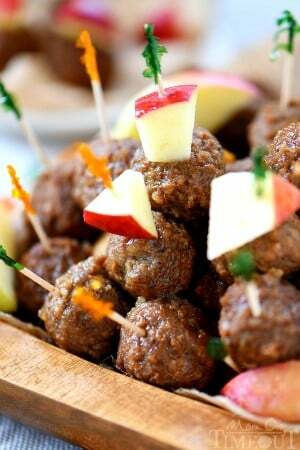 Place the pan in the freezer (or refrigerator) for 30 minutes while preparing the filling and topping. 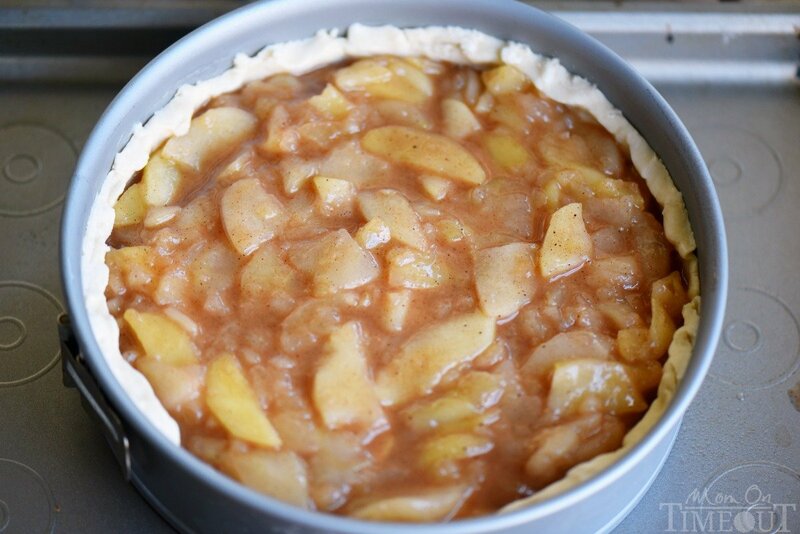 Drain about ½ cup of liquid from the apple pie filling. Whisk liquid and corn starch together in a large bowl until smooth. Add the rest of the apple pie filling to the bowl and stir gently to combine. Add all of the streusel ingredients into a food processor and pulse until the largest pieces are the size of a pea or smaller. Set aside. Remove the crust from the freezer and lightly brush the bottom and sides of the crust with the beaten egg white. This will prevent the crust from getting soggy. Gently pour in the apple pie filling. 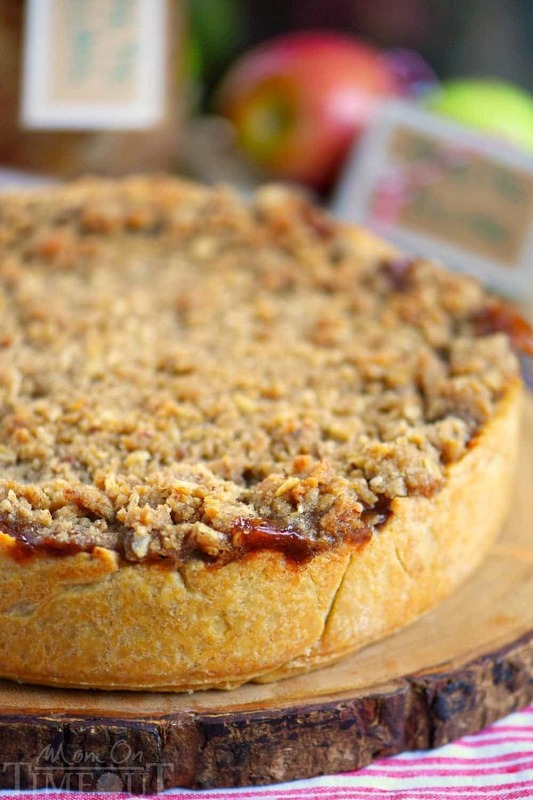 Remove the pie from the oven and carefully spread the streusel layer over the top of the apple filling. Reduce heat to 350F and bake the pie for an additional 25 to 30 minutes or until topping is golden brown. Let pie cool completely before removing from the springform pan. 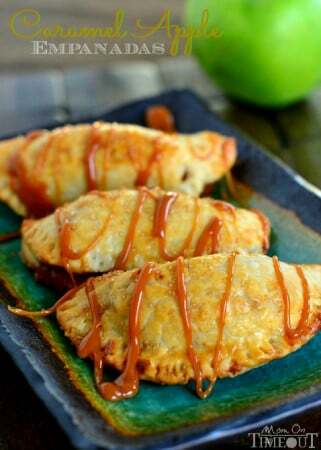 Serve with ice cream and caramel topping if desired. 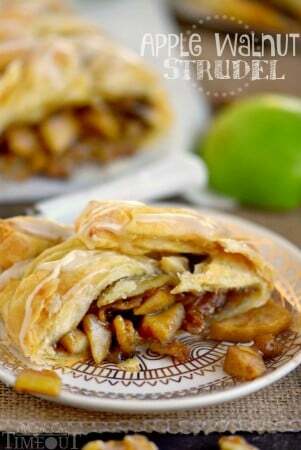 More apple recipe to try! 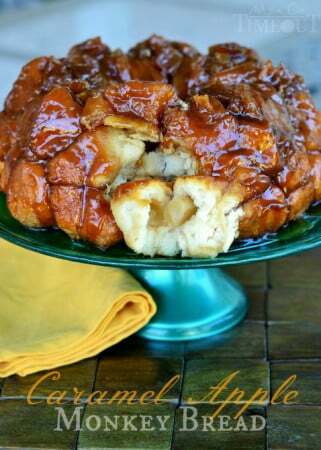 Can I make this bake it, then freeze it for later use? I would freeze it prior to baking personally. can you use a pre-made pie crust? I don’t have a food processor to make the crust. Making pie in a springform pan is so clever! Apple pie is a favorite of mine. Looks delicious! Makes cutting so much easier Laura! Thank you! My kids are not a fan of nuts. Could I leave out the nuts in the streusel or would the consistency not be right? I think that would be fine Christie! I don’t have a food processor, so what can I substitute? That’s fine, just chop as finely as you can.